The months of April and May are, traditionally, festival or fiesta months for the Philippines. Fiestas are usually held as a form of thanksgiving to patron saints following the bountiful harvest. 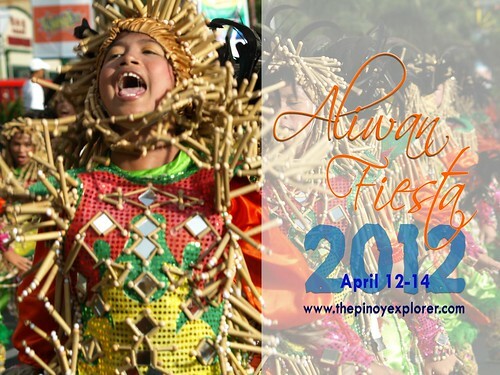 For this, the annual Aliwan Fiesta slated for the month of April is but a fitting reminder of this Filipino tradition. The Pinoy Explorer has also been traditionally covering this event since 2008. Except in 2010 when the annual Aliwan schedule did not jive with my schedule. My first time was in 2008. Although marred by a strong downpour even before the event had to start, going through the entire event was beyond words. The confluence and pageantry of cultures in one place were just awe-inspiring. The performers and their costumes transformed the searing and sluggish April summer afternoon burst into color colorful and energetic spectacle. Needless to say, I had the time of my life capturing almost every move and interesting performers. The year 2009 was a bit unsuccessful for me. I was caught in a traffic jam and arrived late at the venue that allowed me to take only a few photos. In 2011, the scorching summer heat was too unbearable that thousands of photographers and performers sought the comfort of the limited shades of the trees at the side of the Quirino Grandstand grounds--leaving very little room for good photo opportunities. Photographers even scampered for same subjects to the ire of the photographer who painstakingly set up the subjects for their taking. This year, I hope to get more beautiful photos of beautiful people representing their beautiful culture and traditions. To note, this event is the battle of champions in street dancing from their respective annual festivals. This, therefore, is worth seeing as we will witness the best performers and best presentations from different provinces and cities. With this, I invite all my friends and their families to witness and see for yourself this revelry about the diverse Philippine culture! Indeed, the Aliwan Fiesta had made festivals truly fun in the Philippines. See you at the Quirino Grandstand, Luneta Park, Manila on April 14, 2012, for the float parade and street dancing competition! SNAPSHOT | Of Pinoy jeepneys and Darna!